Join us in summer & fall for scenic gondola skyrides, hiking, downhill mountain biking, & adventure activities! 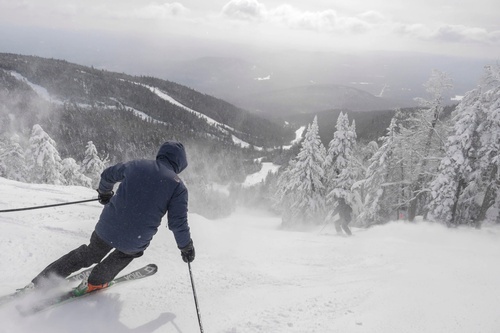 Located in the Adirondacks of New York, Gore Mountain is home to the most skiable terrain & largest lift network in the state! 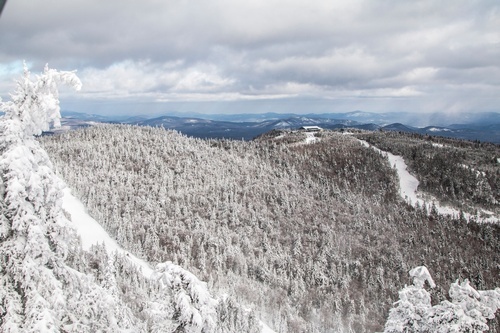 From learning areas and easy cruising to steeps, glades, and parks, skiers and riders of all skill levels can find an abundance of terrain to explore and enjoy. 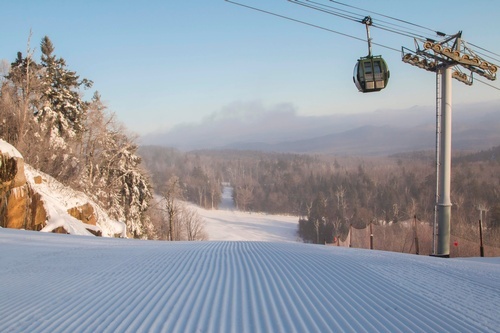 Eight terrain parks offer unique experiences for freestylers and 28 different glades provide extensive backcountry excitement. Lessons are available for all ages and abilities, and our winter calendar is loaded with live entertainment and events. 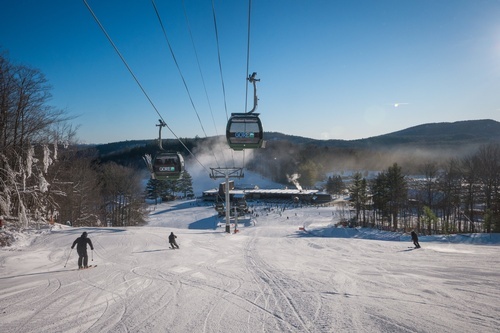 Don’t miss our Nordic/snowshoe 5k network at the North Creek Ski Bowl with lights, grooming, and snowmaking! What’s New for Winter 18-19? Gore is building a new pump house and installing larger pipe that will increase its water pumping capacity by 42%. 312 brand-new guns equipped with the latest snowmaking technologies are being installed on key trails to facilitate mountain crews in working smarter, faster, and more efficiently. A large two-level addition to the Base Lodge will double the size of the completely renovated Tannery Pub & Restaurant. 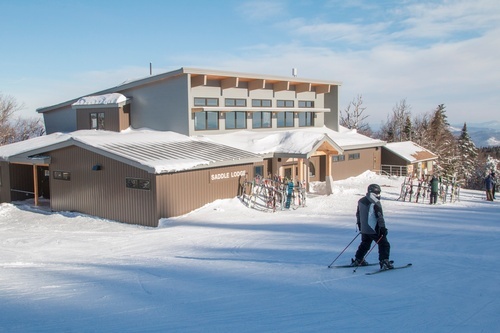 The lower level addition will house new headquarters for the popular Season-Long Mountain Adventure Program, and more seasonal lockers. Two grooming machines are being added to the fleet. Trail crews have recently removed a large irregularity on the Lower Cloud trail, making your approach into the Saddle area smoother and easier. The entry walkway to the Base Area has been attractively repaved.